Relax at the full-service spa, where you can enjoy massages, body treatments, and facials. You can take advantage of recreational amenities such as a nightclub, a 24-hour health club, and an outdoor pool. This hotel also features complimentary wireless Internet access, concierge services, and babysitting/childcare (surcharge). 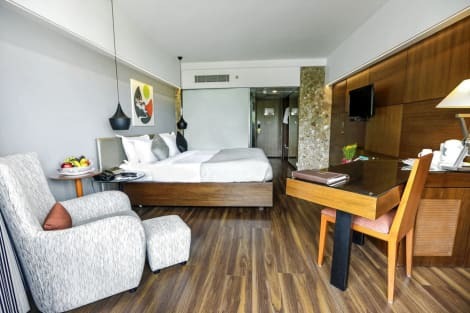 With a stay at The Orchid, you'll be centrally located in Mumbai, within a 15-minute drive of Bombay Convention & Exhibition Centre and Lilavati Hospital. 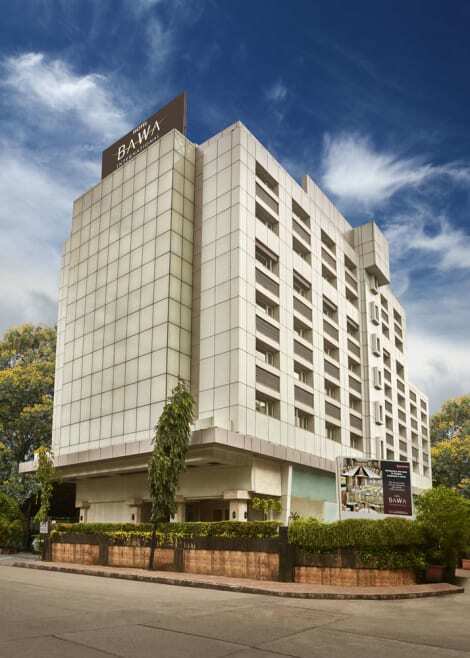 This 4.5-star hotel is 3.2 mi (5.2 km) from Juhu Beach and 3.4 mi (5.4 km) from Bandra Kurla Complex. 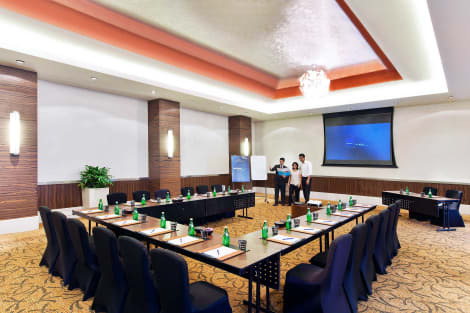 Make yourself at home in one of the 401 air-conditioned rooms featuring refrigerators and LCD televisions. Your bed comes with down comforters and premium bedding. Wired and wireless Internet access is complimentary, while iPod docking stations and satellite programming provide entertainment. Private bathrooms with separate bathtubs and showers feature deep soaking bathtubs and designer toiletries. Make yourself at home in one of the 80 guestrooms. Complimentary wireless Internet access keeps you connected, and cable programming is available for your entertainment. Private bathrooms with showers feature complimentary toiletries and hair dryers. Conveniences include phones, as well as desks and complimentary newspapers. Make yourself at home in one of the 54 air-conditioned guestrooms. Complimentary wireless Internet access keeps you connected, and cable programming is available for your entertainment. Conveniences include phones and ceiling fans, and housekeeping is provided daily. lastminute.com has a fantastic range of hotels in Mumbai, with everything from cheap hotels to luxurious five star accommodation available. We like to live up to our last minute name so remember you can book any one of our excellent Mumbai hotels up until midnight and stay the same night.